Over the last two decades, a range of affordable devices and equipment have been created to provide 4 billion people at the base of the pyramid (BoP) with life-changing benefits. Yet, progress in marketing these devices has been frustratingly slow as marketers struggle to convince BoP families that future benefits (cost savings or increased income) justify their investments. 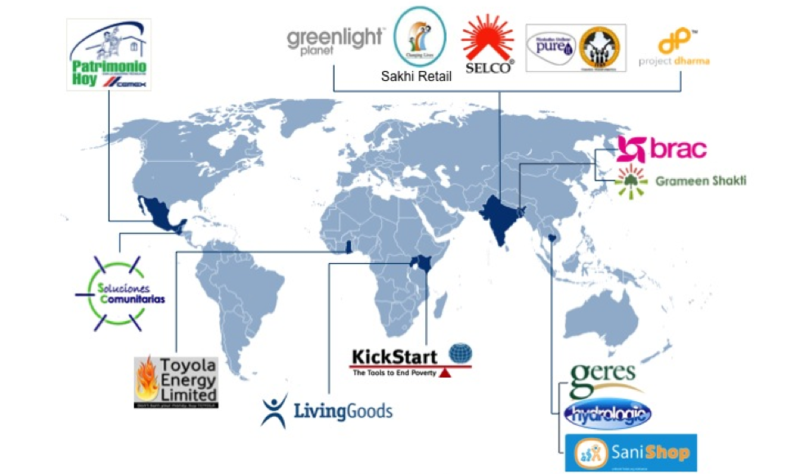 The “Marketing Innovative Devices for the Base of the Pyramid” project analyzed 15 pioneer organizations selling life-changing devices to low-income people around the world. You can find the 10 key lessons learned in our report, on how to design an appropriate value proposition, create effective marketing strategies, organize an efficient sales force and define the right level of overheads. Leaders from the 15 organizations featured in the study (their CEOs, Presidents, Marketing Directors or Founders) validated these findings during a workshop in London on March 5-6. A general consensus emerged that their still-nascent field would gain from considerably more collaboration, given the size of the market and of the human need – and the few players trying to serve them in different geographies. A fund to finance the initial working capital of small local entrepreneurs selling innovative devices, providing a few thousand dollars for each enterprise. The money would be channeled by existing organizations focused on selling these products. Indeed they know the field and local context well and would have a direct vested interest in these entrepreneurs’ success, as those entrepreneurs would become their local sales force. A central buying group focused on beneficial devices to serve the needs of local distributors. The group would perform due diligence of manufacturers and select the best products, pass bulk orders for distributors to benefit from lower prices, provide them support on duty, legal matters, etc. It would increase collaboration between non-competing entities that are driven by similar social goals. A platform (either public or private) for sharing lessons learned and best practices among practitioners, vouched by a benchmark of existing models to find out which really work. Hystra has taken the first steps on this path: our “benchmark+ workshop” methodology enables organizations selling beneficial devices to thoroughly review their sales and marketing processes, and design improvements on weak points by drawing inspiration from existing best practices. One day after the workshop concluded, the Hystra team presented the findings to more than 200 leading practitioners – impact investors, social entrepreneurs, representatives of multinational corporations and foundations, BoP experts. (See the video below). One of the key feedback points we received was that it is about time for the field to conduct a more business-oriented assessment of its performance. For example, the study found that distribution gross margins of 25-50 percent are required to reach financial sustainability selling durable goods in the developing world, when similar goods in the developed world need only a gross margin of 20 percent. This led participants to think again about their pricing strategy, and revise it upwards. Some of the findings were considered quite controversial. For instance, distributors are often wary of offering microfinance for their products, as handling the risk assessment of customers or default payments are tasks that they would rather delegate to specialized banks or microfinance institutions (MFIs). Thus providing in-house financing seemed counter-intuitive to many. But when we look at the numbers, MFIs cover just 10 percent of the BoP, and our benchmark shows that only one out of 20 such distributor-MFI partnerships works out well. Many participants then recognized that in-house financing was worth a thought. Would you like to learn more on our findings?
? Download a PowerPoint of the conference and the final report summarizing our 10 key lessons learned on our website (click on “Marketing for the BoP”).
? Contact us for more information about the “benchmark+workshop” methodology. This study was sponsored by the Bill & Melinda Gates Foundation, the Children Investment Fund Foundation and the Shell Foundation.